If what what they said here has not quite registered, better think about it a little harder. We will make it easy for you. Adsense publishers who use the Adsense Search Network get ads delivered from Google’s SEARCH Network (NOT the Contexual Network). 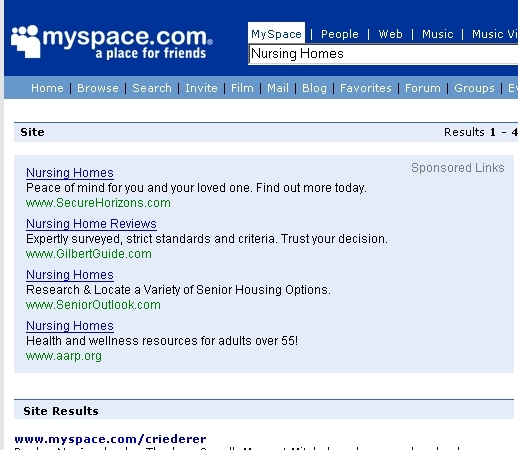 MySpace is very popular and now has a good search mechanism (Google’s) — not the old terrible one they had before. What does this mean? Means advertisers in AdWords will have their AdWords ads displayed on MySpace for every search done there — and MySpace has so far proven to NOT be the best converting area for traditional advertising. 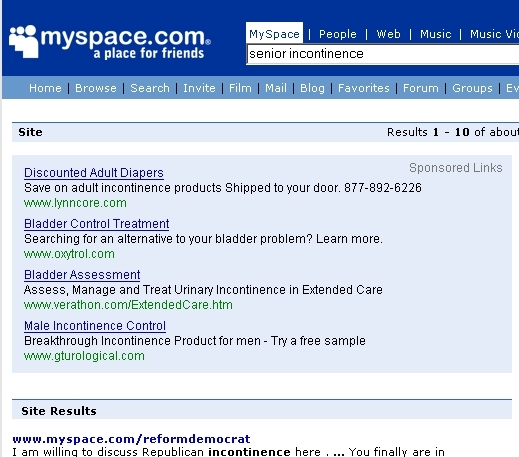 THINK THE GUYS BELOW WILL HAVE GOOD CONVERSION RATES ON MYSPACE?